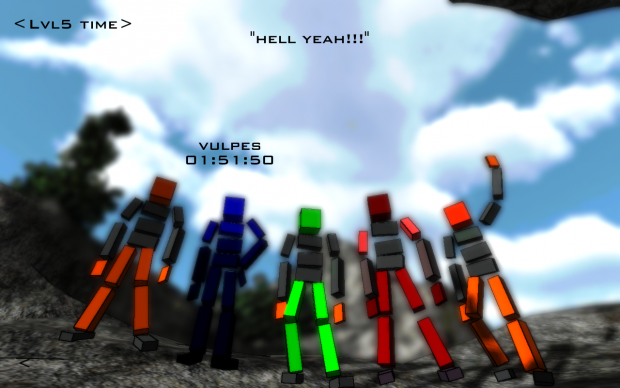 Cubic Climber is a simple game based on player`s reflexes and ability to move fingers on keyboard without releasing specified keys too soon or pressing the wrong ones. You play as a climber who is trying to climb a mountain using various holds. Every climbing hold is presented by two keys that you must press and hold until you get to another one. Some of the holds are time limited, if you don`t get them in time, you will fall. This game also includes: multiplayer(sort of), list of top 5 players in different categories,customization of your climber, system for improving qualification times and 5 unique levels. You can try to beat best times of other people and improve your rank by earning points. The final release will be totally free! 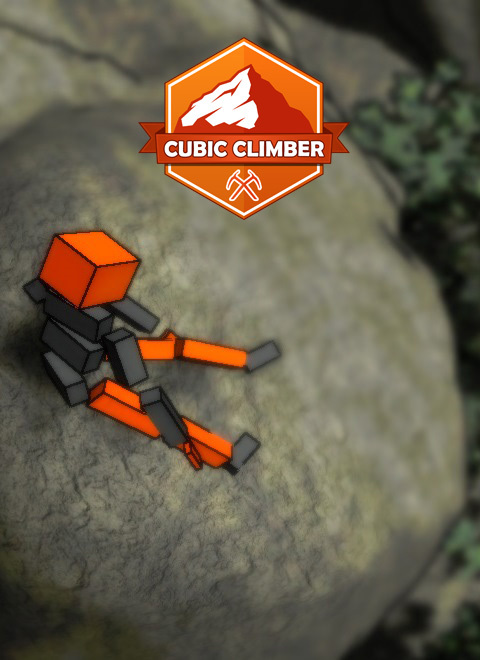 Cubic climber is my first released game (apart from some LD entries) and also the first finished project of Simplicity Game Development Studio. I am really surprised how many people played it during last 3 months. What's even more surprising, a few people decided to donate us some money by buying our game. We didn't earn more than 20€ but the fact, that someone bought the game that is available for free is really awesome. I can't express how much we appreciate it. The last thing I want to mention in this part is YouTube. You can find there more than 2 pages of Cubic Climber videos when you search it via browser. Thanks! Let me show you some diagrams and graphs from Desura! Funny fact: Only 8 people from my country have downloaded Cubic Climber. This graph clearly shows that people over 50 are not afraid of climbing! There are average 72 installations per day with maximum of 486 people! I was thinking a lot about this certain question during the last week and I came to conclusion that we are ready for a small commercial project. It will be announced pretty soon so make sure to follow my profile! or you can follow directly me to see what I'm up to. Read this article to learn something about new version and improvements that were made to improve the gameplay. Cubic climber will be released today at 19:00:00 (GMT +1). You will be able to download it through Desura. Read this article to learn more! We made a lot of improvements, changes and bug-fixes to Cubic climber since the last article. Maybe in the future but I do not know what is causing the issues with linux version as this game was developed mainly for windows. I am working on another project that I currently find more important than Cubic Climber. So I can not promise anything but if I see larger interest from Linux users I will try to do my best. But you should try to register and show other stuff like character customization and atc. Mac download is not working "404 error"
Yes we know about this problem. Unfortunately mac version will be removed. The game kinda rages me with F5 or more, when I press F and 5 On my keyboard, it takes my 5 as a %, Making me fall for no reason. Are you sure that combination is F5 ? Try other numbers in different levels. If they work then there is not F5 but some other combination. Let me know if problem persists.